Vee Care will provide support in assisting new parents with the additional work involved with the arrival of a new baby. For families where a parent has either under gone surgery or convalescing after Child birth, Vee care will provide support and assistance with caring for the children and mother. An infant bed (commonly called a cot in British English, and, in American English, a crib or cradle, or far less commonly, stock) is a small bed especially for infants and very young children. Infant beds are a historically recent development intended to contain a child capable of standing. Hi all please call us to take relaible and verified child care and babysitter services. We take care not only to our inmates but also rescue made from different pavements, maintain the mother and babies, provide them shelter, food, games, puzzles and also education. Children need to be treated with “kid gloves, and that’s exactly what we do. We are gentle, we take the time to explain to our younger patients what we are going to do and why, and we utilise techniques that make the visit as short and comfortable as possible. The first few years of a child shape their learning and development for a lifetime. At Amelio, we focus on enabling the child to develop across various aspects of development so that they grow to be healthy, happy and curious children. A large quantity is used in diapers for babies and adults along with its use in sanitary napkins. 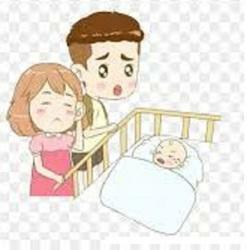 Babysitter will be taking care of the baby during day time at your home. At our Child Care Centre, we provide a nurturing environment and we are totally committed to exceptional childcare. We create a home-like environment filled with love, caring and nurturing. We respect the uniqueness of each individual family's customs and beliefs. We ensure that all your child's needs are taken care of so that you can focus at your work place with peace and calm. GEMS Child Development Center (GEMS CDC) is the out come of the committed and dedicated professionals working in the area of rehabilitation. The children with special needs shows delay in the areas of development, education, behavior, psychological.. Etc.